The Reebok ZigTech 1410 Treadmill allows exercisers of all types and levels to work out in a variety of ways. The 3.5 continuous horsepower motor is spin-balanced and uses self-cooling, allowing for a lengthy and arduous workout. 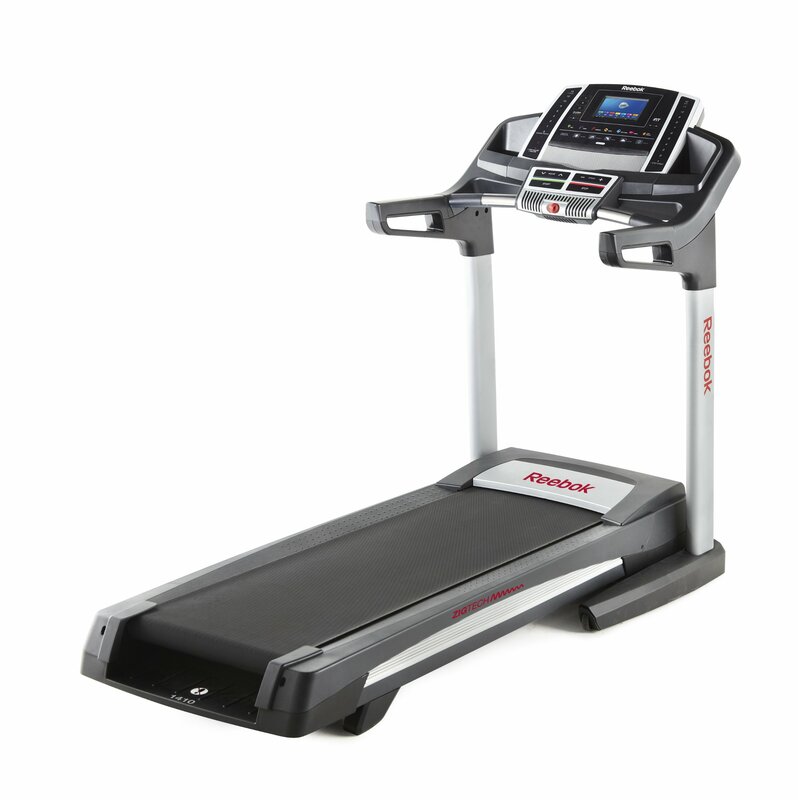 This treadmill features ZigTech cushioning, making the running deck soft, flexible, and easy on the joints. The 7” full color touch display, Android-powered browser, and iPod music port allow users to be electronically connected while exercising, and the -3% to 15% incline gives exercisers a wide range of workout possibilities. The 2 HD workout videos, 36 workout apps, and built-in iFit-capable technology allow for even more options for workouts. This treadmill first came onto the market in early 2013 and is currently available on Amazon.com for $1,499. • The power of the engine assures that users can do lengthy, involved workouts without having to worry about the engine overheating or running loudly. • The treadmill comes with 36 preprogrammed workout programs, allowing users to choose from a variety of workouts. • The high quality touch display allows users to browse the Internet, watch workout videos, and more. • The 3% decline and the 15% incline challenge exercisers with demanding workouts. • The ZigTech cushioning technology provides the user with a smoother, more enjoyable workout experience than some treadmills that are harder on the joints. • The track is 60” long and the treadmill can hold up to 375 pounds, so taller, larger people will be able to use this machine. • A music port allows the user to hook up an iPod or other MP3 player, and the Intermix Acoustic 3.0 Sound System plays the music directly from the treadmill. • The SpaceSaver design allows the user to fold up the treadmill for easy storage. • QuickStep Speed Control allows exercisers to rapidly increase the treadmill’s speed from 0-12 miles per hour, adding another element of choice to workouts. • The treadmill comes with an AccuRate Heart Rate Monitor that is attached via Polar Chest Pulse Strap and that gives users heart rate readings in real time in order to help users maintain their desired heart rates. • Users who are willing to pay $10 a month for an iFit subscription will be able to use the built-in iFit technology to simulate runs in exotic locations around the world. • Multiple reviewers have complained about the heaviness of this unit, which weighs in at a robust 270 pounds. • Reviewers have also noted that this treadmill is often difficult to assemble due to its weight and bulk and recommend that first-time users get at least one other person to help with assembly. • In order to fully use iFit, customers will have to buy a $10 subscription for the service. • Some people have claimed that customer service is not helpful. • The quality of the speakers and the built-in CooleAire Workout Fan has been questioned. • Updating the firmware can be challenging due to an interface that some find counterintuitive. • Some users have had trouble calibrating the touchscreen for the first use. The power of this treadmill’s motor, the variety of exercise options available, and the included extras that enhance the workout experience make the Reebok ZigTech 1410 Treadmill an excellent option for all types of exercisers. Several of the cons can be solved by simply asking for help from customer services or a neighbor, and the iFit subscription is only $10 a month. Another possible solution could be to buy the Reebok ZigTech 1910 Treadmill, which features a more powerful motor, a larger console, and enabled iFit ability. 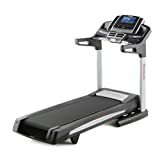 That treadmill is about $500 more on Amazon.com, but the Reebok ZigTech 1410 Treadmill is a solid treadmill for its price range and will likely satisfy amateur and expert exercisers alike.